We are busy preparing for our 2018 growing season. This year will be our 35th season growing on this land, and our 21st season operating our Community Supported Agriculture (CSA) program. The CSA has become the fuel for our farm, generating the energy and resources to allow us to work with the land here in the oxbow of the Lost Creek in ways that produce healthy, flavorful food for our family and our customers while doing our best to improve the quality of the soil, water, and biological life of these 40 acres of Pennsylvania. In a few weeks, we will fire up the heat in our propagation greenhouse and start the first seedlings for the coming season! We would love to grow for you and your household this summer, won't you join our CSA?! 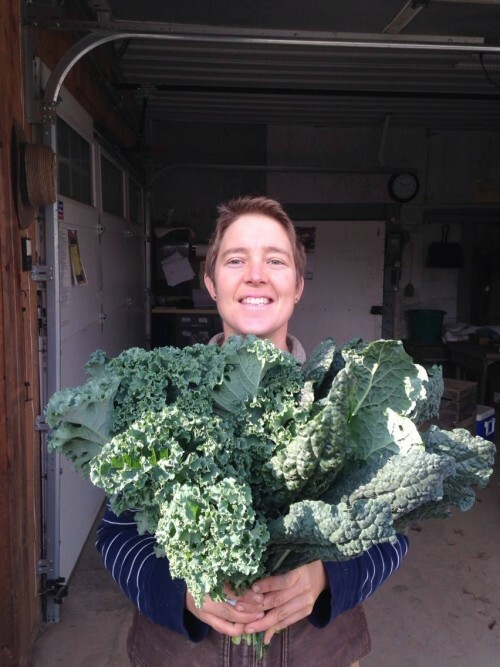 Note: We are limiting the size of our CSA to 150 members in the 2018 season as we adjust the scale and scope of our operation following the death of Debra's father and Village Acres's longtime lead farmer in the summer of 2017. If you want to secure your spot in our 2018 season we strongly suggest you sign up early. We would like to ensure our existing members have first chance to continue with us! Optional Vegetable/Egg Shares for Thanksgiving week and 2 weeks in December.